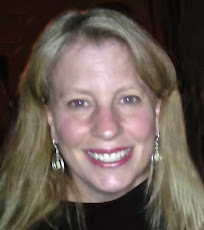 Donna's Crafty Place: Welcome Baby! 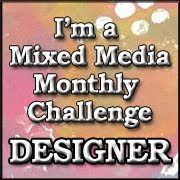 Today the other girls and I at the Mixed Media Monthly Challenge have a fun post for our designer Lalo Ik. Lalo had her fifth baby a month ago today on October 22, 2014. We each made a mixed media baby project as a way to say Congratulations to Lalo and her new bundle of joy. Be sure to head on over to The Mixed Media Monthly Challenge to see a picture of her new little guy and check out the other projects from The MMMC design team. I made an 8x10 canvas. I covered it with starry theme papers, then painted over the background in a medium/dark blue color. I wanted to be able to see some of the papers underneath. Then I added some colorful crafty sticks from Hobby Lobby and a wooden star from Michaels. I painted the star with yellow acrylic paint and covered the inner raised star with Stickles. I sprayed the canvas letters from Little Yellow Bicycle with Dylusions spray inks. 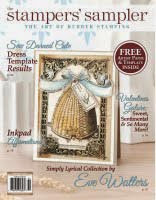 When I was finished I outlined the star, the canvas and the letters with Stampers Big Brush Pens in similar colors. Thanks for stopping by and be sure to go leave Lalo some love on the post at The Mixed Media Monthly Challenge. OMGosh Donna THANK YOU THANK YOU SO MUCH!!! 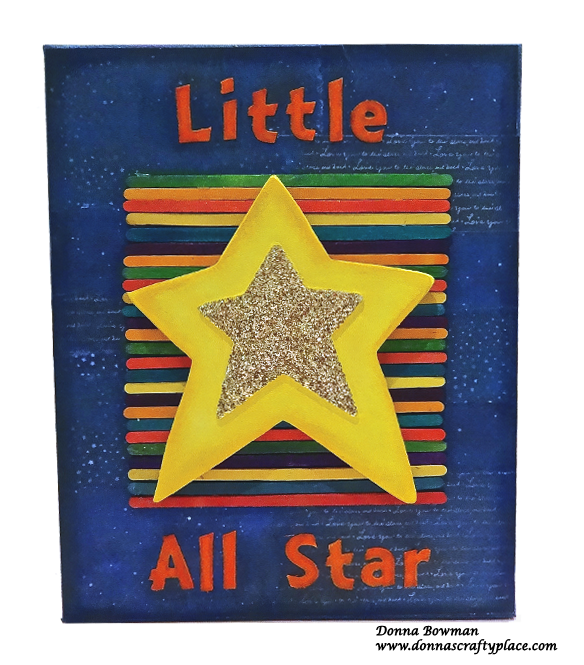 Such a great Mixed Media...Adore the glitter star and colors! Perfect!!! Love the bold fun colours for a baby card!